Standardized tests aren't exactly popular with students, but they will still have to take them during their academic journey. To help them do their best, check out these tips. In order for your child to be adequately prepared for a standardized test, they first have to know what they will be tested on. If possible, they should request a study guide that includes the topics that will be covered so that they can organize their study time better. They should make time to study daily so that they aren't up all night the day before the exam trying to cram everything into one study session. Not only is this not effective, it can also make them more anxious and stressed out. Read the directions before starting. Read the entire question and identify keywords that will make the answer more obvious. Use the process of elimination to eliminate answer choices that are obviously wrong. Answer the easy questions first and then focus on the harder ones. 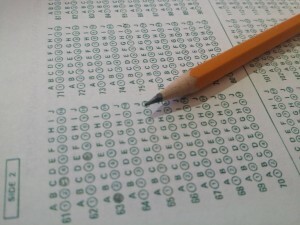 If there is no penalty for wrong answers, answer all of the questions no matter what. Many students who are well prepared for the test may still not perform at their best thanks to test-taking anxiety. Help your child overcome this by practicing relaxation techniques at home. In the weeks leading up to the exam, try out different techniques with your child. You may consider breathing exercises or even stretches. Help your child identify the ones that work best for them and that they can use during the exam. Help your child prepare for their exams with tutoring in Oro Valley. Contact The Tutoring Center, Oro Valley AZ at (520)-219-4112 to learn all about their different academic programs and how these can help your child reach their academic potential.